Update: I apologize this was a one time use coupon and I didn’t know. I’m sorry for wasting your time and will try to make sure it doesn’t happen again. 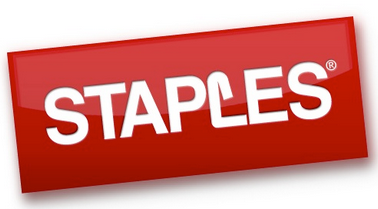 If you haven’t already, go ahead and print this coupon for $5 off any $5 purchase at Staples. You can also show the coupon on your phone at the register to get this deal if you forget the coupon at home! Pair this coupon with current Staples deals for this week and you’ve got some great deals. Also, while you’re in the store, don’t forget to grab 500 sheets of Hammermill Copy Plus Paper for FREE after Staples Easy Rebate, plus head over to Staples Facebook page and get your FREE 8.5×11 Photo Calendar. Send your calendar to the store and pick it up for FREE while you are there too. Coupon valid thru 1/18. Some exclusions apply.